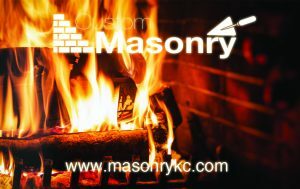 Custom Masonry provides full service for all your chimney and masonry needs. We are licensed and insured in our field of expertise. Our staff is made up of Chimney Technicians who are CSIA certified Chimney Sweeps and our Masons are BAC Local 15 Union Masons. Our Chimney Sweep will clean and inspect your chimney and assess any additional chimney services you may need. We offer chimney cleaning, inspection, repair and relines. Our Masons are skilled craftsmen that specialize in residential and light commercial restoration of brick and stone. We install new brick, block and stone and are available for any of your masonry needs. We have over 20 years of experience serving Missouri and Kansas including: Kansas City, Independence, Lee’s Summit, Blue Springs, Grain Valley, Raytown, Leawood, Overland Park, Shawnee, Bonner Spring, Belton, Raymore, Liberty, Cass County, Johnson County, Jackson County, Bates County, Miami County, Clay County & Platte County. Experience, quality, price and credentials make Custom Masonry the best choice when selecting a chimney care professional in the Kansas City area. Maintaining You Chimney – What you need to know . . .
Clean chimneys don’t catch fire. It is recommended to have a Chimney Sweep inspect your fuel system and clean annually. It may be required to repair what ever is needed. Our Chimney Sweep may have other maintenance recommendations depending on how you use your fireplace. We preform a Level II Video Chimney Inspection to insure your chimney is safe and working properly.